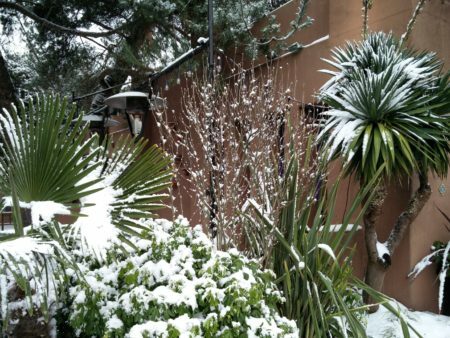 Snow on the palm trees! So we arrived in Vancouver for a two-week visit to the westcoast and found it snowy. Luckily it has mostly melted, so we can continue our tour: the city, Maple Ridge, Mission, Seattle, and Victoria. 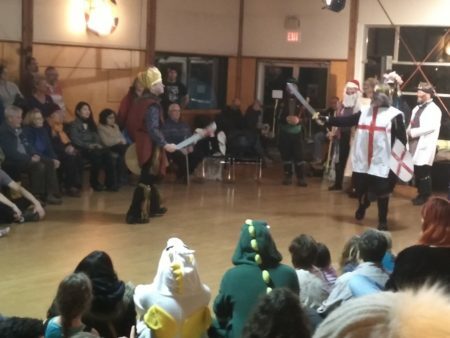 On Dec 21 there is always a big multi-site solstice celebration in Vancouver, which is one of my favourite events. Professor Banjo and Hot Pluto Jazz trio played, and the grand finale was Urban Haida drum group accompanying fire dance. 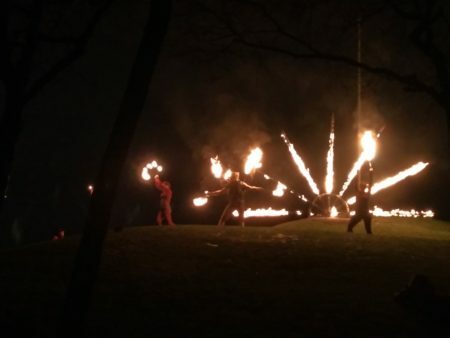 Perhaps 2017 will be the year I put together my hula hoop and acro-yoga skills and take up fire dancing. 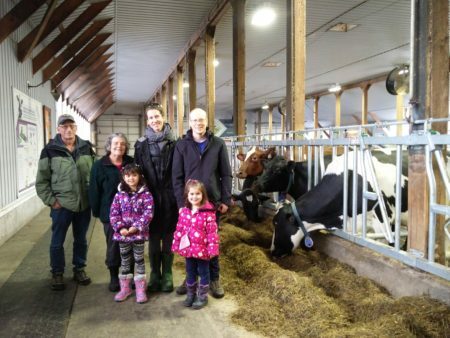 Graham and I also took his parents and our youngest nieces on a tour of the Fraser Valley Eco Dairy. We learned about their bio-digester and methane fuel/compost production, as well as animal husbandry. Linnea was really interested in the robotic milker, and Jasmine was brave enough to let a cow lick her with a long, scrapey tongue. A visit to the EcoDairy in Abbotsford with nieces!